What a great first experience with the Love With Food Box! 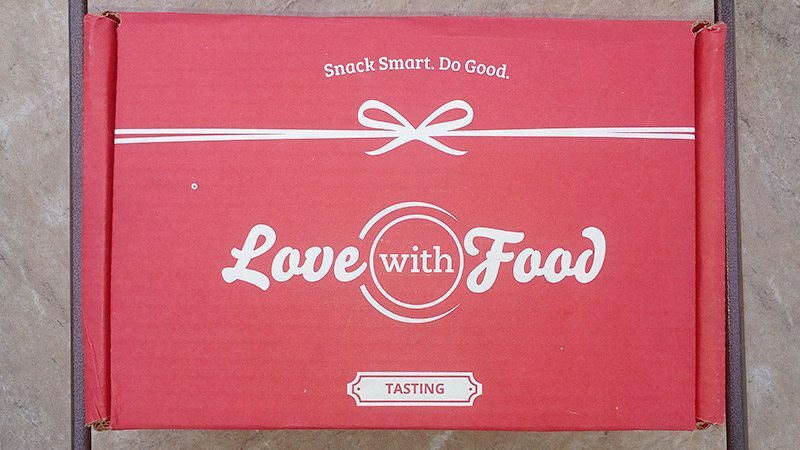 Today, we’re unboxing our June 2016 Love With Food Tasting Box. 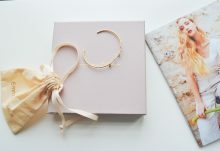 We are extremely impressed with the packaging and products held with in. The presentation was beautiful, starting with the shrink wrap protecting the flat red box, with fun white font reading the title of the box. The products were packed organized and tight (not too tight mind you) with plenty of info of what you’re about to put into your body. They also included Pantene samples and info on how to customize your next box. One of those customization’s being that you can order different types of tea (I love tea!). We especially enjoyed the Wild Garden Sundried Tomato Hummus Dip. For “on the go” convenience, the dip is packaged in a trianglular squeeze tube . 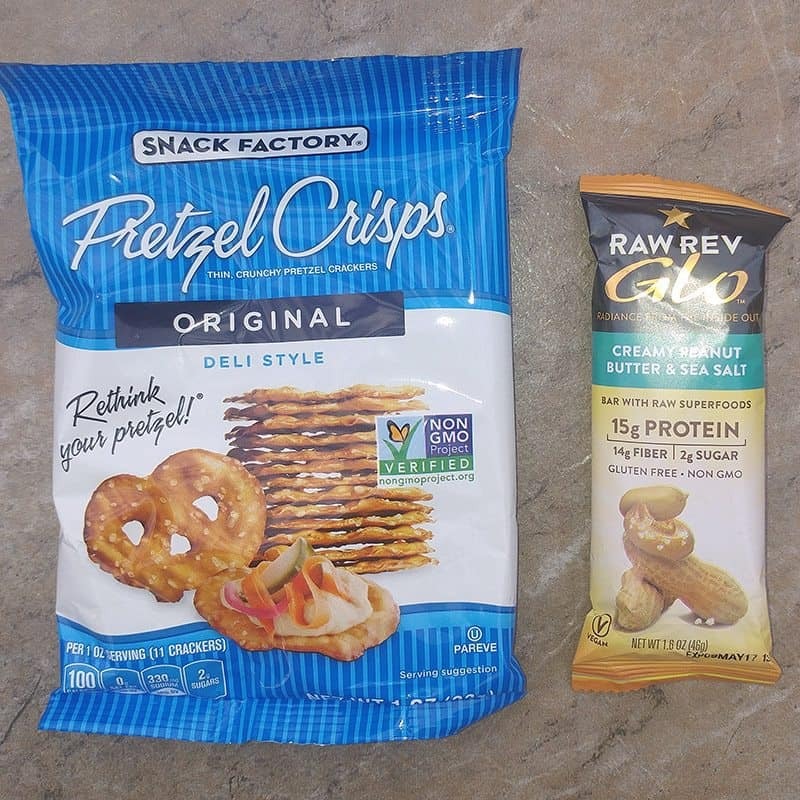 The Snack Factory Original Pretzel Crisps acted as a great snacking agent to compliment the hummus. The Original Pretzel Crisps are the right thickness for dipping and are seasoned with salt evenly, generously and adequately. The Crisps are also an outstanding alternative to other chips which are not as healthy. 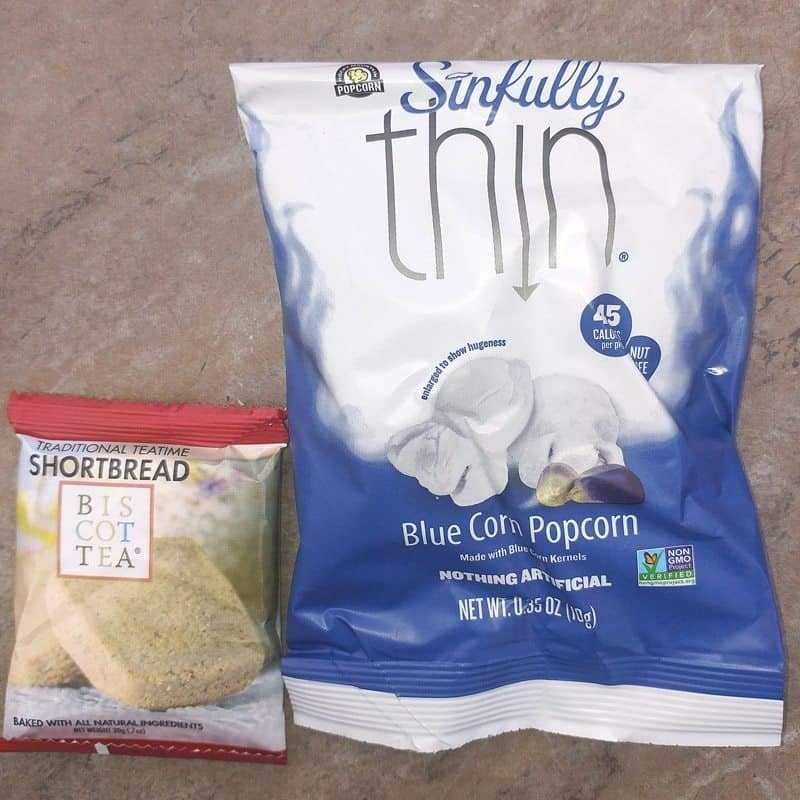 Before we jump into the sweet stuff lets talk about the Sinfully Thin Blue Corn Popcorn and Biscottea Traditional Teatime Shortbread. These two do not exactly go together obviously but are fantastic by themselves or with tea (ill drink tea with anything). We enjoyed the popcorn with a honey chamomile tea. The popcorn did of course have a blue cheese taste but, that taste was very light. I can say that I did not experience kernels in my teeth after eating a couple handfuls. The Shortbread went well with an earl grey tea. I dipped the shortbread into the tea and it did not fall apart even after holding it inside the liquid for approx five to eight seconds, which was quite impressive. The Shortbread was also good size dipping into a basic coffee cup. The Shortbread was easy to bite into and chew with a subtle sweet flavor and a cookie like texture. Now, lets hit the sweets side of the box! 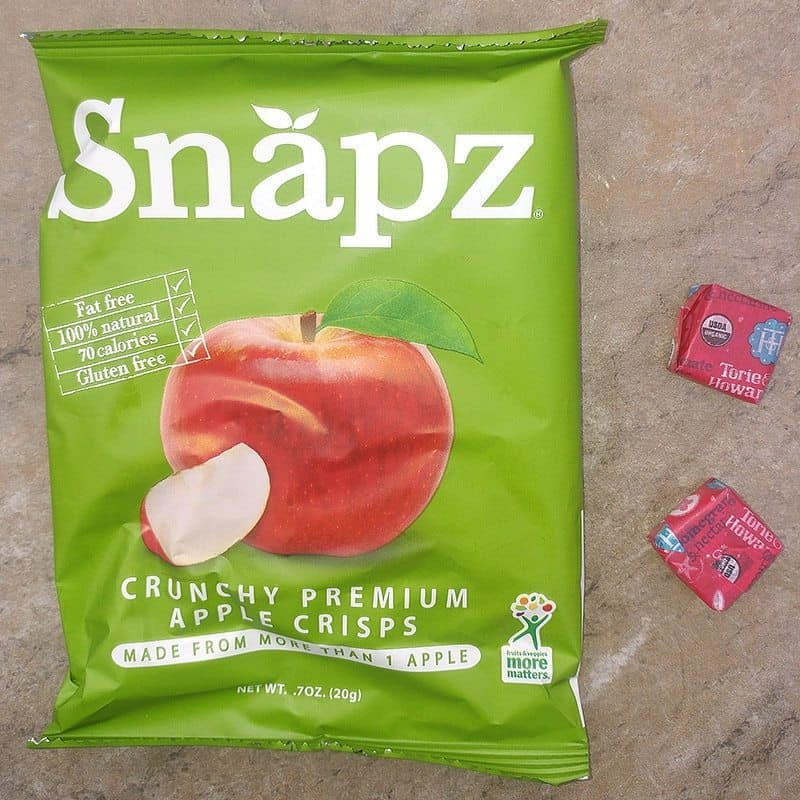 You can tell that the Snapz Original Crunchy Premium Apple Crisps are as simple and natural as they sound, when you bite into one or just catching a smell from ripping the bag open. They are a touch chewy after biting in but, mostly crunchy when you first go for it and after the first initial couple chomps. Taste wise…well… APPLES! The Torie and Howard Fruit Chews did not stick in my teeth like most other chewy candy. Made with only real fruit juices, they were quite sweet but, tasted true and not artificial. We got two strawberry flavored ones, shaped just like a Starburst. 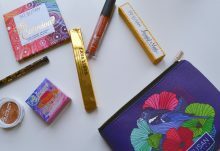 The Raw Rev Glo Creamy Peanut Butter and Sea Salt Bar was our favorite out of the sweeter food inside the June 2016 Love With Food snack box. As it is mentioned in its description, the peanut butter was whipped to a fantastic creamy texture. The cracker on the outside was lightly salted with sea salt and complimented the peanut butter just right. 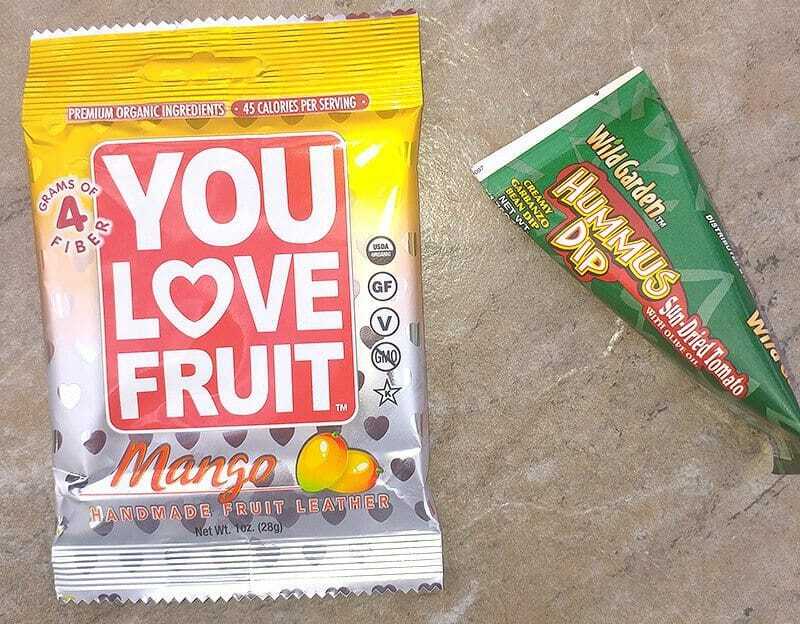 Last but, not least was the You Love Fruit Leather. My boyfriend commented that it reminded him of his moms fruit leather she would make when they were kids (that’s saying something right there)! As everything inside this wonderful box, the fruit leather had a clean, natural, evenly seasoned or properly prepared taste and great texture. 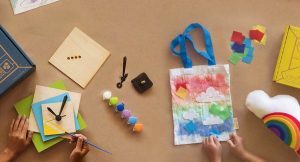 The texture was not hard to tear through yet, was not gooey, hard, messy or falling apart. 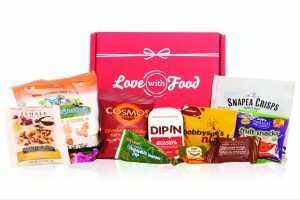 The June 2016 Love With Food Tasting Box was a fun experience. I would definitely order the box and/or its contents again. All around, this box was beautiful and introduced my family and me to a lot of great alternatives! I will recommend Love With Food to anyone seeking better food because it obviously provides! What did you think about the snacks in your June 2016 Love With Food snack box? The August Love With Food snack box spoilers have been announced! 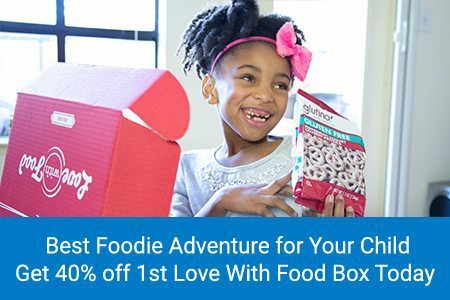 For a limited time, become a Love With Food Deluxe Box subscriber and get 40% off your 1st box. That’s an $8 savings! Want Gluten-Free snacks? Click here to save 50% off your 1st month of gluten-free snacks delivered with the Love With Food Gluten-Free box subscription.